Are You Using The Power Of The Law Of Abundance In Your Life? Then This Beautiful Pendant & Necklace Is For You! 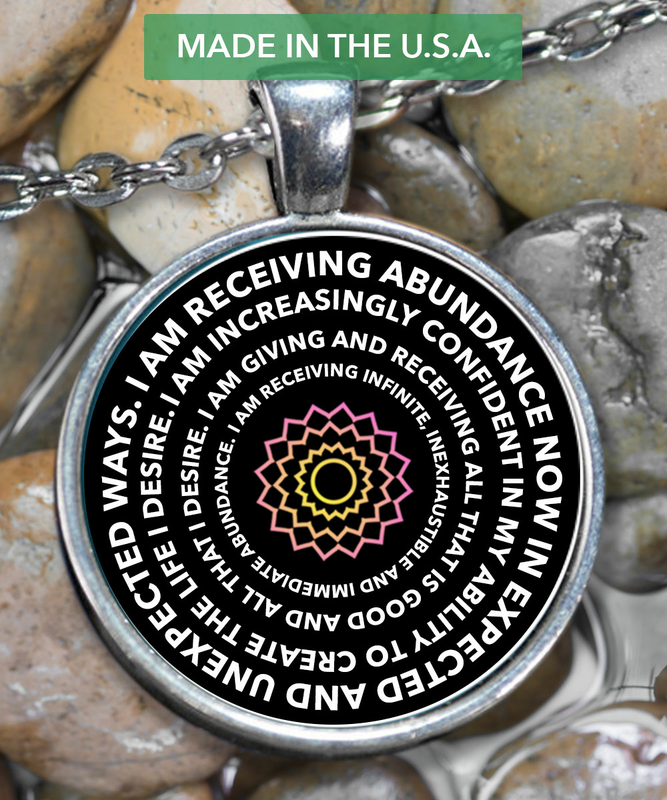 The Abundance Affirmation Reads As Follows.. I AM RECEIVING ABUNDANCE NOW IN EXPECTED AND UNEXPECTED WAYS. Keep This Powerful Affirmation Close To Your Heart Everyday! I bought this for my daughter for Christmas. I love the pendant however the chain broke or was broken when I took it out of its lil bag to attach it to the pendant. So I will be just giving her the pendant. It is smaller than I thought. The chain broke when I tried to put it on. The emblem is pretty. Exactly as pictured. Excellent quality.